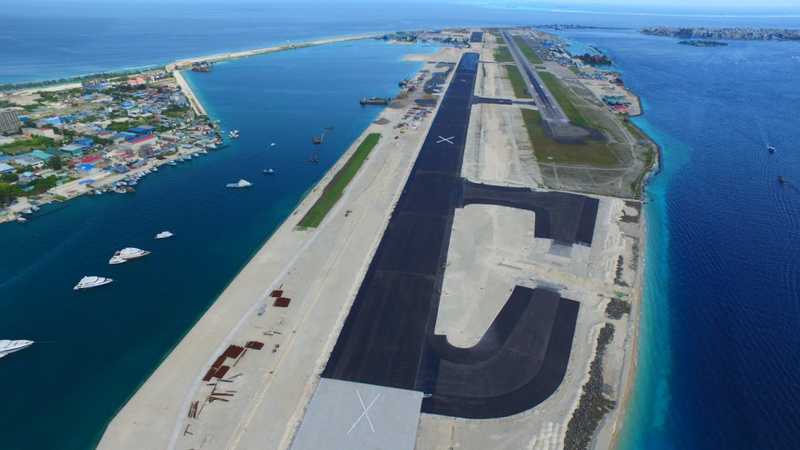 Maldives Airports Company Limited (MACL) has said that the new runway at Velana International Airport will be completed next month and will be used starting from September. PSM News reported that according to the Managing Director of MACL, Adhil Moosa, the new runway is now being completed with the last layer of tarmac and the contractor has assured that it would be completed in August and test flights will begin in September. The new runway is 3.4 kilometers long ans 60 meters wide which would enable to accommodate the largest airplane, A380 wide body aircrafts in use across the globe with ease. The project is contracted to the Beijin Urban Construction Group (BUCG). When the new runway officially opens, the 3.2 kilometer long current runway will be used as a taxiway. There are numerous development projects ongoing at Velana International including that of a Seaplane Terminal and a Cargo Terminal. The airport development project is estimated at USD 1 billion.